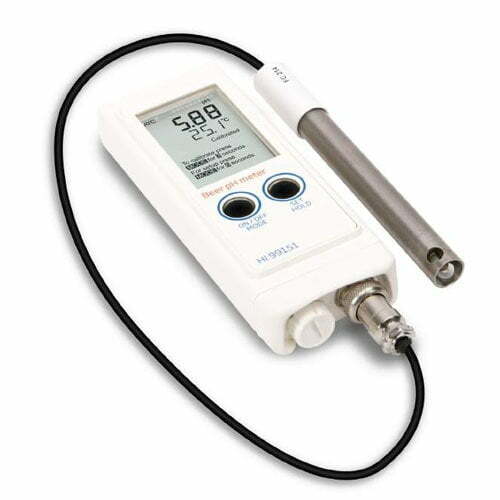 Waterproof: The HI99151 is a waterproof meter rated IP67 for immersion in up to one meter of water for 30 minutes. Automatic Calibration: One or two-point calibration is automatic to two selectable buffer sets. 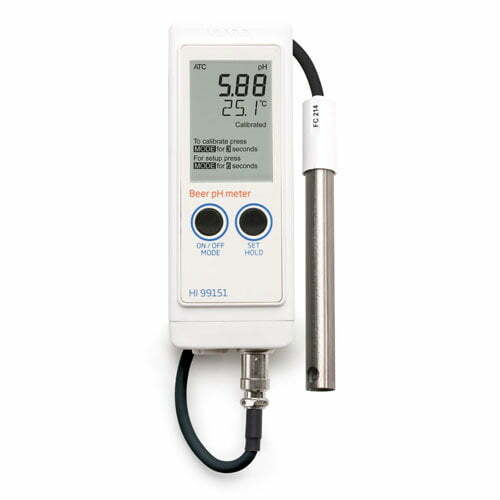 Automatic Temperature Compensation: Allows for automatic temperature compensation of pH measurements. 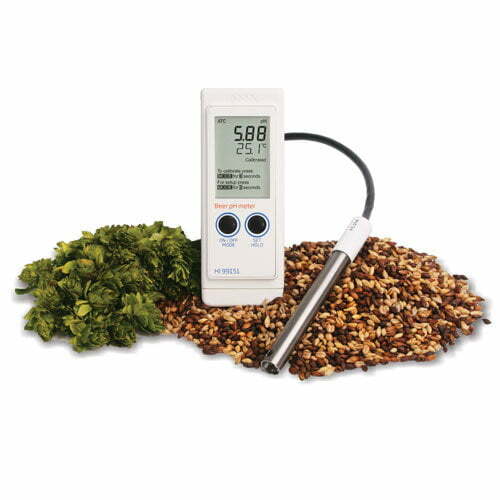 Multi-Level LCD Display: The split-level LCD displays both pH, Temperature, Stability Indicators, Battery percentage. On-Screen Tutorial: Clear tutorial messages and directions are available on-screen to quickly and easily guide users. Battery Error Prevention System: The meter will automatically shut off if there isn’t enough power. Battery Life Indicator: The battery percent level is displayed at start up alerting the user. Ordering Information HI99151 is supplied with FC214D pH/temperature probe, HI70004 pH 4.01 buffer solution sachet (20 mL), HI70007 pH 7.01 buffer solution sachet (20 mL), HI700661 electrode cleaning solution sachets (2 x 20 mL), batteries, instruction manual, and hard carrying case.